I don't do product reviews often, but a while back, I was looking for something to keep a little cash and some cards in, inside my awesome bag. Being not the girliest of girls, I started looking at men's wallets, because they're generally less bulkier and more utilitarian, when I stumbled upon the Moon Wallet. 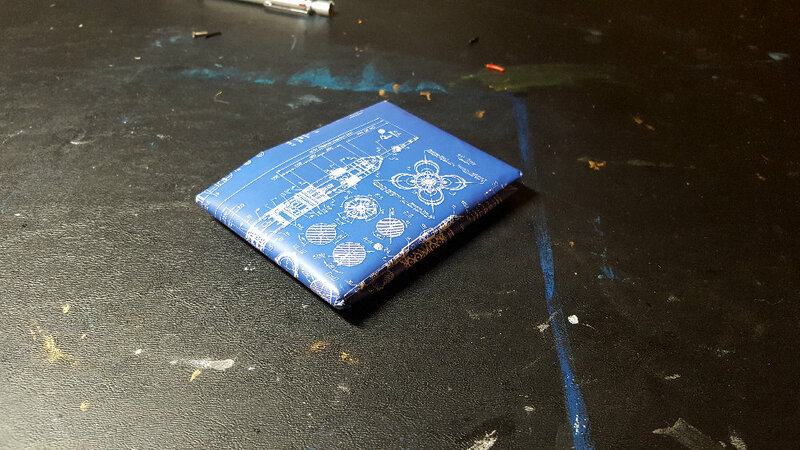 I've seen coated paper/tyvek wallets before and when I found the Soyuz blueprint wallet, I was immediately sold. 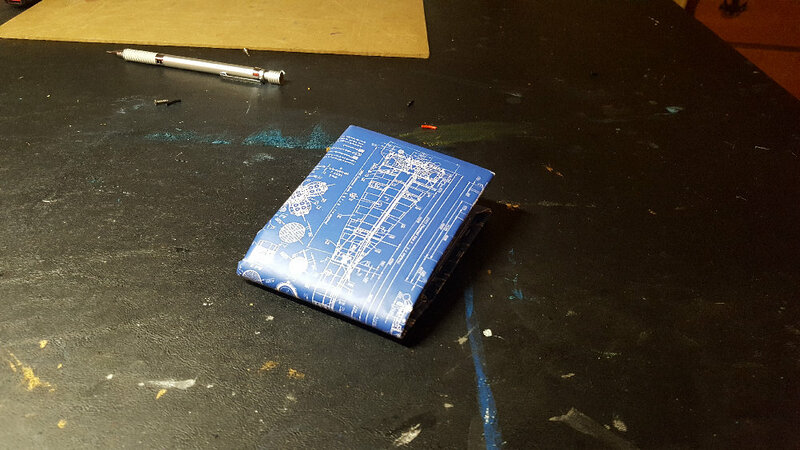 I'm keeping it in my bag, not taking it in and out of my pocket daily, so I figured the material would be sturdy enough. It has, in fact, been that. Here's a few pictures of it after 7 months of use. It's showing a little wear, but it's heldp up pretty well, certainly better than I expected. It's not bulky, the Soyuz blueprint looks awesome. 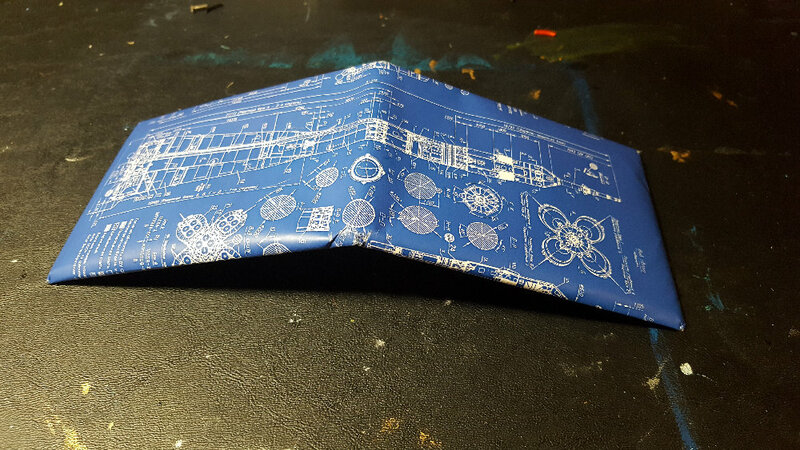 I don't want to hate it, because I love the print so much, but as a functional wallet, it's awful. See those two slots, one on each side? Those are meant to hold cards. 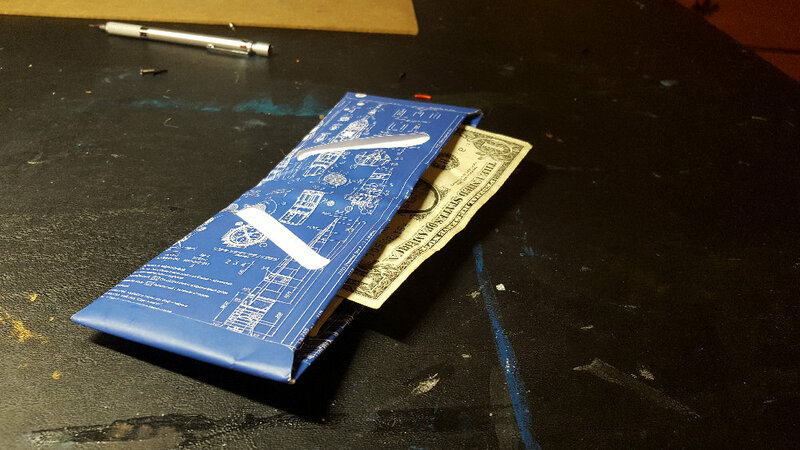 You know what happens when you put plastic cards inside a plastic-coated wallet? They fall out all the time. It's slick and the cards don't stay in, and it's awful. 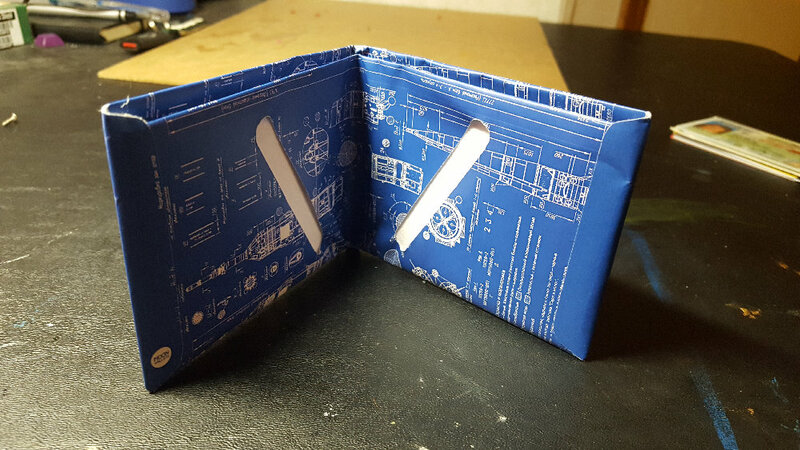 If this had been designed differently and the slots had been completely horizontal, then it probably would have worked a lot better and been fine, but the way it's designed now, this wallet is good for some cash and maybe your heavy cardstock social security card. Because I got tired of catching my credit cards every time I opened the thing, I'm replacing it with this, which looks perhaps a little bulkier, but not bad, and definitely better suited to actually serving its intended purpose.